You don’t need any further comment on the situation at Gatwick from me, I’m sure. Let’s leave that to the national press. However, if you are meant to be flying on BA from Gatwick over the next few days, you can check this page of ba.com for special updates. Anyone due to travel on Friday can change their flight without penalty. By the time you read this, the same offer may be available for Saturday. Greater Anglia, the train company which runs Stansted Express, has announced that it is dropping First Class from January 2020. First Class will only be retained on the key intercity route from Norwich, Ipswich and Colchester to London. As well as dropping First from Stansted Express trains, it will also disappear from trains to Southend Airport. If you want to see what you’ll miss, here is our review of Stansted Express First Class – with a video! World of Hyatt has announced some improvements to the programme for 2019, but only for heavy stayers. I’m not going to focus on it too closely because I doubt we have many elite World of Hyatt members amongst our readers, given their modest European footprint. Basically, Hyatt is launching new ‘milestone rewards’ from 1st January. You will get an extra benefit at 20, 30, 40, 50, 60, 70, 80, 90 and 100 nights stayed per calendar year. The only negative change is that Globalist members will now need the same number of nights to renew their status (60) as new Globalists, whereas previously renewal was available at 55 nights. Full details of the ‘milestone rewards’ can be found on the Hyatt website here. Who won our competition with Naeco? 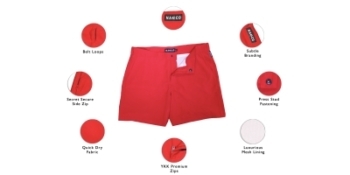 Last weekend we ran a competition with Naeco giving away two pairs of swim shorts. Congratulations and enjoy your swim! As a reminder, Naeco is a British clothing company that produces all its items in London using plastic bottles as the raw material. There was a good conversation in our comments section under the original competition article with Naeco founder Zak answering your questions. Have a read here if you are interested. New British Airways sale now on! OT, but is there any way to cancel an Amex card other than phone or chat? Won’t be in the UK next week but would like to cancel my Plat once I’m a couple of days clear of transferring out my points (expecting bonus to post tomorrow hopefully as hit target spend yesterday) and before my next statement date. Chat doesn’t seem to be an option on the phone app or on iPad web browser, unless the iPad app has it (haven’t tried yet). This is where I miss the secure message function! I don’t normally leave points in MR account before cancelling but in theory I have 30 days to transfer them out anyway don’t I? Will they be safe? I usually write a letter and upload it via the Document Centre or you could send it by Snail Mail. I also make sure that I owe more than the part of the annual fee to be refunded. I cancelled my SPG amex today via chat on my iphone. Go to Amex website in your browser and log in, tap the three horizontal lines in top left corner, tap on help, then contact us, then request desktop website (in safari it’s done by long pressing the page reload button). The page will refresh and the start chat button will appear. I also used the chat to deal with missing Marriott points and cancel cards. Pretty much for everything these days. Used to chat to close SPG. O/T, the e-mail that Rob sent around after the HFP Xmas party with the Flybe offer – if you book flights with Flybe between 11th Dec – 31st Dec, you will receive 1k bonus Avios points. Looking to book a couple of short European breaks for Spring 2019. My question is, the 1k Avios points with Flybe – can they be transferred to BAEC or am I just stuck with Flybe? Has anyone used this offer yet and if so can it be used multiple times? Thanks. You can transfer them to BA just fine, via ‘Combine My Avios’ on avios.com. If you don’t have a Flybe Avios account you can create one at flybe.com/avios. You can’t use your old avios.com account which has now been closed down. You can get the 1,000 Avios multiple times, as long as your flights are booked by 31st December and you email the bookings references to the email address we gave you. I think someone has already pointed out that no-one is going to class the drone incident as foreseeable! If you google EU261 there are numerous articles on the subject of general delay and cancellation rights. Yep, no chance whatsoever of any compo from the drone cancellations/ delays, even if it’s knock-on effects. But duty of care still pertains, also your right to re-ticketing or refunds. Actually you might be able to claim for knock on effect. I successfully claimed a compo from BA on weather related knock on effect 3 years ago. Initially BA refused, but I persisted and finally got a compo. Can’t find the link to exact EU ruling on this (it was some Easyjet flight). In my case I was flying Dublin – London City with the last flight of the day and there was heavy snow all over UK. Dublin had issues earlier in the day as well as City and other airports. Then they opened all airports normally maybe around 4-5pm. My flight departed with a 2-hour delay and then diverted to Southend due to LCY being closed (5 hour delay total). BA initially claimed knock on effect due to weather, but most airlines departed on time or with shorter delays. I spent good 3-4 months back and forth with BA and then sent a letter before claim, then they finally relented. So if you have a flight scheduled to depart today now that the airport is open, I believe you can claim if there is a delay today. It might involve a lot of persistence though to claim from an airline. Also an ambiguity re the compensation. I filed my claim through Compensair in the end. These companies could accumulate similar claims and have more negotiating power and knowledge than individual customers. So if there is a slim chance of getting something out of airlines, they will go for it. I don’t mind giving them some of the claimed money if they succeed.. I guess the main line of argument will be the delays on Friday when the airport was open and these were already within reach of airlines. Norwegian sent 09.20 flight to Oslo almost on time (as well as several others), while our 06.55 flight was delayed by 6 hours and information was patchy, no food vouchers etc. I will keep you posted. Probably the best strategy in this case. I’d rate anybody’s Gatwick compo chances for delayed/ cancelled Friday flights as close to zero – but no harm in trying if it’s not going to take up any of your own time. Do you know what Compensair take as their commission? I think Bott & Co take 25-30%, which is pretty reasonable in a complicated case or where you are going to have to argue at length to get the airline to give anything, ie extraordinary circs look obvious. All the duty of care refunds should be payable, though – food, drink (not alcohol), hotel if necessary & transport there & back, 2 phone calls – & re-ticketing – though you didn’t need to use an intermediary to get those provided they were reasonable. Not what anybody would call compo, however. Once 2hrs have gone by and it’s obvious nobody is going to give you food & drink vouchers (or if they’re inadequate), with your flight further delayed just take matters into your own hands and get a restaurant meal, keep receipts. “The EU regulation 261/2004 establishing common rules on compensation and assistance to customers in the event of denied boarding and of cancellation or long delay of flights requires us to offer affected customers on cancelled flights or flights that have been delayed overnight the following care package for customers travelling on a Virgin Atlantic operated flight. – 2 telephone calls, or telex, or fax, or e-mail messages. – Transport to and from the hotel. This care package is offered to customers who are away from their usual residence/home and is usually arranged by our airport staff. 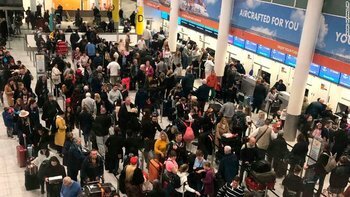 However, if your flight was cancelled or delayed overnight and we have been unable to find accommodation for you, you may claim reimbursement of costs for your hotel accommodation and meals for the number of days you were delayed, as well as transport to and from the airport. Good to know your telex bills are refundable. More worrying is that Virgin has hired Hi-Fly and Wamos to run services today! Can anyone confirm that they have made a FHR booking through Amex Travel, which counted towards the spend target of £600 last time this offer ran? It won’t count. FHR bookings are paid at checkout directly to the hotel not to Amex. Ok thanks. The non-FHR version of the same hotel on Amex Travel will work fine I assume? Thought the same myself and probably a one off but the hotel I was looking at didn’t take Amex??! Yep as long as prepay & non-FHR booking should be fine. Very OT: Have flown LHR-PEK in CA F via the VS miles. Can I refund the inbound (PEK-LHR) leg? If so what can I get back, just half of the miles or some taxes as well? Probably not if it was booked as a return – I doubt there is much in the way of taxes either. You can call VS to ask but I’m not hopeful. One option would be to move the return forward if you are planning to go back. They allowed me to do exactly this in the summer. I got the impression that it was discretionarily rather than statutorily allowed, it had to be done more than 24h prior to the flight, and the rep had to go and ask for a manager’s approval. I got 37500 miles back instantly and £160 back in taxes/fees after a few weeks. Probably worth HUACA if the first person you speak to isn’t willing to do this. Thanks both. Eventually called Shanghai contact centre and moved my booking. Was told the refund is in taxes only. I’m in Gatwick. They have just shut it down again. Yep until 9pm (earliest) apparently. Yep that’s good. Could be that the military zapped it – apparently all mobile networks went down briefly. This should have been in place from shortly after 6am yesterday, of course. Yeah – our flight has a 2-hour delay. Not bad. Flights have started but there is a big knock on affect. I’m now booked on a GLA – LHR then an Uber to Gatwick. The GLA – LGW could be departing at about 2 am instead of 2050! booked back on the LGW flight, seems to haven’t incurred extra delays. 3 different boarding passes tonight (LGW, LHR then LGW again), some luggage receipts would be nice though! BA staff have been a helpful bunch. To those interested (Liz? ), the E-Rewards points have finally posted to Hilton today for both my and Mrs K’s account. I actioned the request with E-Rewards on 17th November and 19th November respectively and both posted today. Thanks – yes mine have posted too. Now waiting for my MR pts to post from a few days ago. This is the first time we come to Clubroom and we decided to prebook expecting it to be packed. It’s actually empty. Is this always the case or just a one-off? There is a queue for No1 though. Flight cancelled and rebooked on the 23rd via BRU. If Iberia had proactively allowed rebookings since yesterday like BA I would have found an earlier flight. And they’ve now put out a reward for more info! :O Was pretty surprised they didn’t get more at the time given how much they were flying.